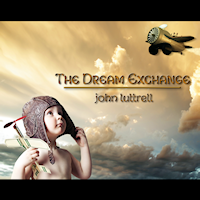 John Luttrell is a composer, singer-songwriter, producer, and performer. His original compositions range from ambient instrumentals to solo piano and guitar to progressive rock. He is the founder of OtterSong Records and Atmospheric Music and he has a series of solo releases as well as group projects that has released over the years. John has written the score and created original soundtrack music for several films, documentaries, and multimedia projects. The Dream Exchange is his new release and the best way to describe what you will hear is auditory bliss and atmospheres to set the mind, body and soul at ease, a literal musical cloud of beauty and grace. All tracks are composed, performed, and produced by John Luttrell, except “Interstellar Dust” co-written by John Luttrell and David Veirs and the album mastering is by Bryan Carrigan. Guitars - Fender Strat w/Roland GR-55 Guitar Synth and Digitech RP7, Line6 Variax 600 w/Line6 Pod XT, Gibson SJ Kristofferson acoustic, Aria AK-75 classical acoustic, Alamo Fiesta electric, various mandolins and ethnic stringed instruments. Keyboards - Alesis QS7, Arturia KeyLab 61, Sequential Circuits SixTrak, Moog/Realistic MG-1, Alesis Quadrasynth S4. Effects - Zoom Studio 1201, Behringer Composer Pro-XL, Boss Flanger. This is new age instrumental having one of its finest hours. As an individual that appreciates many types of instrumental recordings I was easily drawn into this music. The other factor that I find very appealing is the ambient soundscapes he creates with keyboards and guitars accentuated by many other sounds that color the music so beautifully. The relaxing tones and colors give you immediate pleasure and provide a release valve for any tension or stress that you may be feeling. Any negativity that may be surrounding you or taking space inside your head will melt away like butter dripping off a hot muffin right out of the oven. In and around the tracks are the sounds of nature as well - tweeting birds and the whispering winds beckoning you away, anywhere your heart may desire. You are invited to a place of peace and rest for your soul as your ears are enveloped in sound, the mind and body follow in short order. “The Orange Sky” begins the album with pictures of soft light and beauty as the artist paints broad strokes of sound on his ever growing multicolored canvas. From that point forward the journey of blissfulness continues unencumbered by distractions of everyday life. It comes as no surprise to this listener how Luttrell creates film scores. “On Gossamer Wings” is the perfect track to furnish light airy sounds that will just pick you up off your feet as you float away on a cloud of delicate sounds and pleasure. 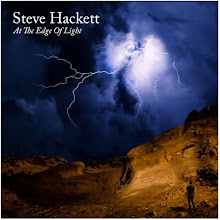 The title track adequately describes without words what this album is about with its ambient keyboards, gentle guitar enunciations, which act as an open invitation to aural paradise. This is music for the senses, the kind of listener experience that will lighten your load and give you freedom. Your spirit is free to fly away on The Dream Exchange. The title says it all; you exchange your worries and cares for a dream like ride above it all, like a vacation provided by sound so effective that you actually can be somewhere else. That is music that is doing what it is supposed to do, transporting you to where you really want to be right now.